Happy Saints: Journey with St. Thérèse through the Year of Mercy! Journey with St. Thérèse through the Year of Mercy! 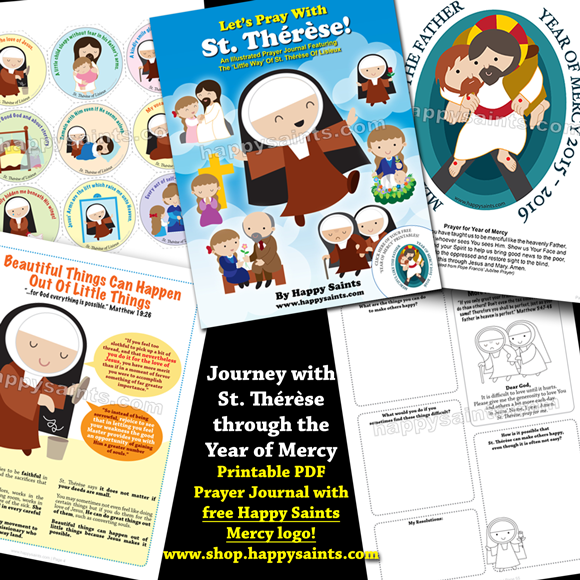 Printable PDF Prayer Journal with free Happy Saints Mercy logo! Another Christmas Idea: Happy Saints Cards! Meaningful Christmas Gift Idea: PRAYER POSTERS!